Please read https://docs.adobe.com/docs/en/aem/6-0/deploy/upgrade/queries-and-indexing.html and https://docs.adobe.com/docs/en/aem/6-1/deploy/best-practices/best-practices-for-queries-and-indexing.html before doing re indexing. If you don't have access to install this tool then you can manually go to crxde repo and set reindex property to true for property you want to reindex (This is expensive operation, don't do it if you don't know what you are doing). Note: In some cases if your repository size is huge, It could take days to rebuild Lucene index. So Before you rebuild your index, make sure that you can afford that much of downtime. 2) Then you need to add the new language somewhere in the repo, e.g. /apps/yourapp/i18n, following the layout as under /libs/wcm/core/i18n (see also the above section on the translator UI). Stuff under /libs must not be changed! 5) to check, set the current user's language to "Traditional Chinese" and look in the siteadmin: the first button in the toolbar should now be "traditional" instead of "New..."
Thanks Alexander Klimetschek from Adobe for this information. Suppose you want to display certain text for a component in different language based on page language or URL. Take an example of /apps/geometrixx/components/homepage component. | +-- sling:key = "msgXXX"
| +-- slign:message = "An Application Text"
+-- slign:message = "Ein Anwendungstext"
//If above bool is set to true. CQ looks in to page path rather than jcr:language property. curl -u admin:admin http://localhost:4502/system/console/bundles/<bundle number or symbolic name>.json | jsawk -n 'if(this.data.state=="Active")' | echo "Bundle is Active"
curl -u admin:admin http://localhost:4502/system/console/bundles/<bundle number or symbolic name>.json | jsawk -n 'if(this.s + this.s > 0)' | echo "There is some problem not all bundle is active"
Use case: You want to copy all files modified after certain date and time from one instance to another. this is also use ful for migration projects. Approach: Initially I thought, I will build list of all the pages and then use vlt rcp. But problem with this approach is, on destination you might not have Path (Subfolder) and in that case you will get path not found exception using vlt. Instead you can use reciprocal approach and find all pages created "before" certain date and then exclude them (Good for smaller size folder, not good for huge data) from all vlt copy from parent folder (Make sure that that exist in destination). echo "vlt rcp -e \"$EXCLUDE\" -r http://$SOURCE_CRED@$SOURCE/crx/-/jcr:root$ROOT_PATH http://$TARGET_CRED@$TARGET/crx/-/jcr:root$ROOT_PATH"
Use case : You want to write monitoring script to find all pending and blocking job in the replication queue and do some action. Once you have blocking jobs, You can go to CRX and remove blocking entry (Before that make sure that blocking entry is causing problem). You can also use replication clean up script (It is custom script I wrote to remove one entry) to remove one entry from the queue and then if necessary activate them again. Note: Have not tested it. Please test it before use. Use Case: You want to analyze what is there in tar file or possibly truncate it using tar file truncate tools. Entry without <number>/<UUID> is system UUID (First one being root node) and should not be modified. To truncate a tar file you need Hex Editor in combination with dd tool. and then dd if=./data_00010.tar of=./data_00010_copy.tar bs=<location> count=1 -- To truncate. Note that "Location" is decimal value so you might need to convert Hex to Decimal to use this command. Thanks Thomas Mueller From Adobe for providing this information. Caution: This command is very dangerous and lead to data loss. Please use it with "A lot" of caution. 1. 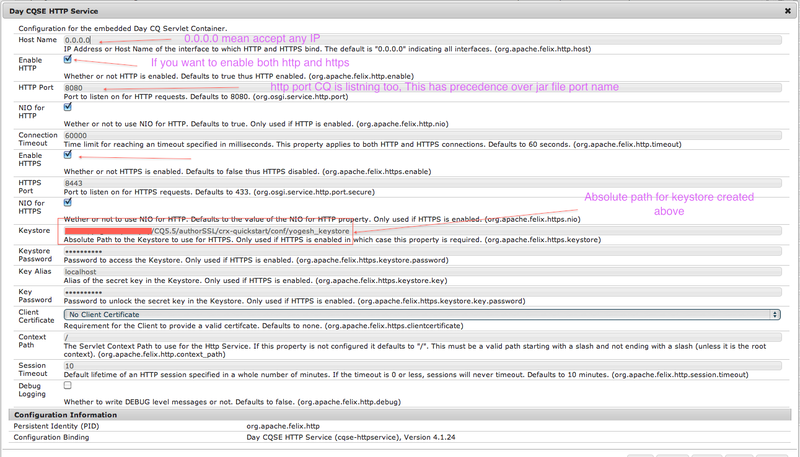 Create a file /etc/init.d/cq5 on your server and copy the contents from below script. # character. After the tags section, there should be a blank line. # description: This service manages the Adobe WEM Content Management java process. echo -n "Starting cq5 services: "
echo -n "Shutting down cq5 services: "
Thanks Andrew Khoury and Daniel Gordon from Adobe for providing this information. 3. Then modify repository.xml by adding the new path configuration to the DataStore element. After doing this then you can safely run separate backups on the datastore while the system is running without affecting performance very much. Use Case : Some time you want to create package based on Xpath. CQ5 package manager does not have ability to create package based on Xpath. Above package might not work for AEM 6 onward because of this feature You might have to do disable POST from felix console for CSRF token. Add it back after running this tool. 4) You can also add comma separate exclude path that you don't want to add to package. Please note that, this package is for test purpose only. Feel free to modify it based on your need. Known Issue Exception when "/" root is given (I will fix that as soon as get some time). Assumption : You are using CRX and latest HF is not installed. Otherwise need to figure out why you had this issue. 6) Set the file permissions back to rw as the system sets all data tar files to read only after a file is missing. chmod 755 *.tar. Use Case : You can not do all the operation using svn with CRXDE or CRXDE light. Also if you are using some other development tool, You can use File system to perform SVN operations. Now with vlt synch option you can synch between your eclipse project and crx. This helps not to use vlt ci every time you make file system changes and use vlt up when you make crxde changes. Try following code to get client IP address. Use command "keytool -genkey -keystore mykey -alias myalias -keyalg rsa"
You can also check /crx-quickstart/server/etc/SSL_HowTo.txt to see how configuration can be done. Once you have SSL set up check logs/server.log to make sure that server is started on secure port. That means you need to start CQ as root user. 1. You can put certificate file at any location you want. Only absolute path is required. 2. There is no way to configure multiple port you can listen to now. To be honest you will get ton of information about How to set up SSL on Apache on Google. 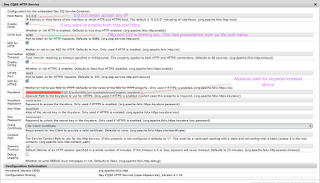 1) You can configure dispatcher rewrite rule to redirect all http request to https. +-- sling:redirect = "https://localhost:<your secure port>"
[2.1] Set value of "Log File" to "../logs/dam.log"
[3.2] Set value of "Log File" to "../logs/dam.log"
Click Here to see how to Rotate custom logs in CQ. Suppose you want to enable logging for com.day.crx.security.ldap package. Optionally, you can use "com.day.crx.security" instead of "com.day.crx.security.ldap" to see all CRX security-related debug log messages in the logs/crx/ldap.log file. 4. Try logging into CRX directly with your LDAP account. 5. 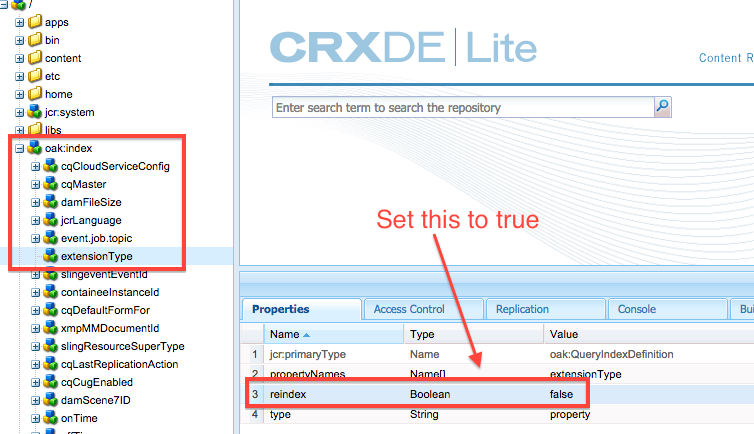 Examine the ldap.log and error.log files from CRX to debug for errors. If you are troubleshooting LDAP for a CQ instance, first try logging CRX at http://<host>:<port>/crx. Second, try logging into CQ at http://<host>:<port>. Then examine the ldap.log and error.log files from CRX and CQ for errors. Use case: Some time you want to associate ACL on a node based on certain events (For example page creation under certain path). Solution: You can use this code to associate ACL with a node. You can also use JAVA code to create pages in CQ. Assumption You have basic knowledge about CQ structure and CRX. You are using crx2.2 or higher. Path of copy could differ if you are using older version of CRX. Pros: Faster than package manager. Do not consume package space like package manager. Pros: VLT rcp UI easy to see status and administer. Do not require command like knowledge. Cons: Slow I/O because it uses VLT under the hood. Cons: Not Adobe supported. Need more dependency to set up. Step 1: Make sure that you have vlt set up properly. More detail can be found here. In the end you can use vlt --version command to check if vlt is installed. 1) While you are migrating data from one CQ to another CQ, make sure that you stop launchpad application from <host>:<port>/admin (This will make sure that unnecessary workflows are not getting triggered during migration). If this is not possible make sure that you disable DAM related workflow by going to http://<host>:<port>/libs/cq/workflow/content/console.html and then launcher. Don't forget to re enable them after the copy and make sure that no DAM activities are going on during that time on target instance. Important Note: At any point of time (Even after Migration). You have to make sure that /content/dam and /var/dam are sync. After migration go to http://<host>:<port>/etc/dam/healthchecker.html and make sure that they are in sync by clicking check binaries (List entries missing in /var/dam) and check Asset (List entries missing in /content/dam). You might also do small test before you do big migration to make sure that all renditions are getting migrated fine. If you want to process all asset again then just migrate /var/dam in batches (As Asset synchronization using workflow could be expensive) and enable launchpad or all workflows. In order to migrate Asset in baches you can use sleep between two rsync. Make sure that you monitor logs of target system for any OOM error or any issue. Note: Please test this before using. Re-indexing a large repository may take a lot of time and cause downtime. The below procedure allows to keep the production repository operational and do the re-indexing on a backup. Downtime of the production repository is limited to the time it takes to index changes that were done on the production system while the re-indexing was performed. At this point the repository will apply the changes to the index that were done since the copy was made. Once the repository is online, shut it down again. All the information about CRX clustering can be found here, Please feel free to add comment. Why: Some time there is class path issues with CRXDE. You can clear CRXDE cache by removing ".crxde" under your home directory. For example in unix system if my username is test then you can find ".crxde" under /Users/test. Note that .crxde is hidden folder. (You can use any webdev tool to do that). By default any thing under /install folder are available in class path. You can use redo.log to remove repository inconsistency (Instead of rebuilding whole index). Why: Sometime even after stopping CQ instance all the lock file does not get deleted, Causing problem in restart. Symptom : Upload of certain documents (word, excel, pdf) cause system to go down because of OOM error. And since these document are under workflow, Restart of CQ does not help either. 1) Add -Dcom.day.crx.persistence.tar.IndexMergeDelay=0 In start up script. This will make sure that after uploading any document or changing large properties synchronize merge (There is known issue with Synchronize Index Merging) should not cause any issue. For above option in CRX2.1, you have to make sure that Hotfix pack 2.1.0.9 is installed. It will work OOTB in CRX2.2. Please note that this will not help those file to process successfully, but help you to get rid of OOM error and your system will not go down. Other Option: If you are really not concern about full text indexing of these documents, You could disable indexing of these document in tika-config (crx-quickstart/server/runtime/0/_crx/WEB-INF/classes/org/apache/jackrabbit/core/query/lucene/tika-config.xml). If this folder structure is not present then you have to create one. Original tika_config.xml can be found by unzipping crx-quickstart/server/runtime/0/_crx/WEB-INF/libs/jackrabbit-core-*.jar (Copy it to some other location, rename it to .zip and then unzip) and then going to org/apache/jackrabbit/core/query/lucene). You could add org.apache.tika.parser.EmptyParser as class for not to parse document type. Above method will also help you to reduce Index size (Lucene) in CQ.